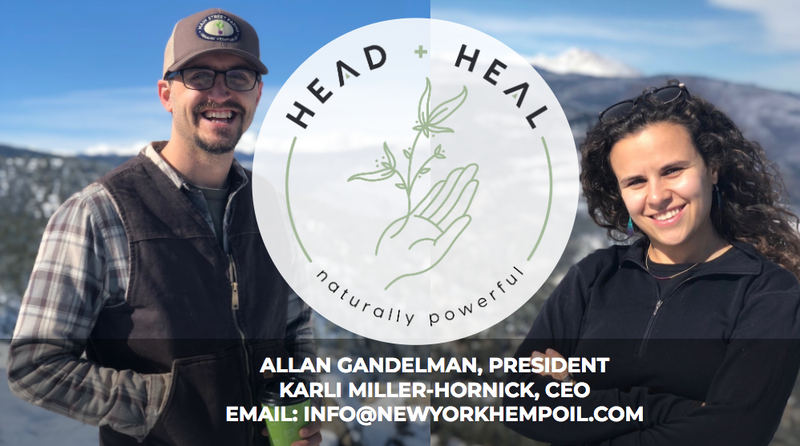 Rev: Ithaca Startup Works welcomes new member New York Hemp Oil, owned and operated by Allan Gandelman, president, and Karli Miller-Hornick, CEO. New York Hemp Oil is currently licensed to grow and process hemp for CBD oil in New York State. They currently sell CBD Oil and Salves online at www.headandheal.com. Updates and more information on New York Hemp Oil are planned for the future.